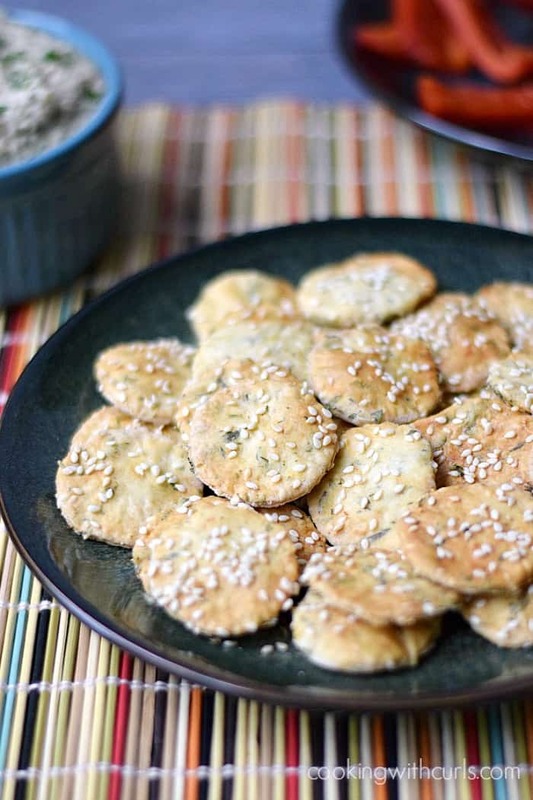 Have you ever made crackers at home? Well surprise, surprise, I never had, but now I will definitely make them again in the future! 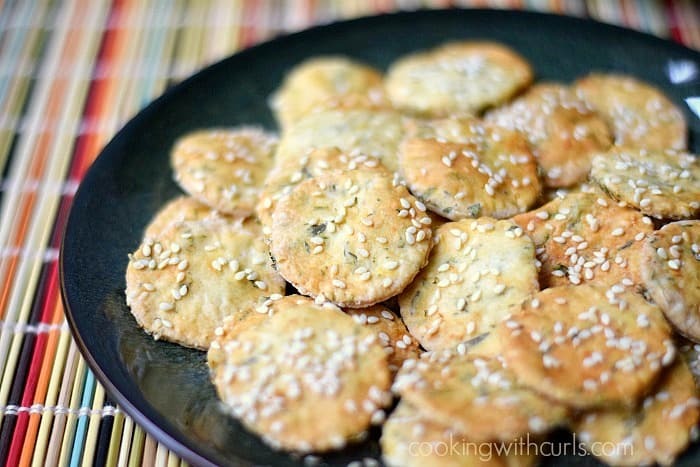 These Sesame Crackers turned out so good, and were absolutely perfect to serve along with the Greek Eggplant Dip from this month’s Cooking with Astrology picnic. They would also be delicious served with soup this winter. One of the things that I love most about these meals, is that it forces me to venture outside my food comfort zone. There are so many different cultures and foods that we wouldn’t normally be exposed to, and I am determined to change that for myself and everyone else that wants to be adventurous right along with me! 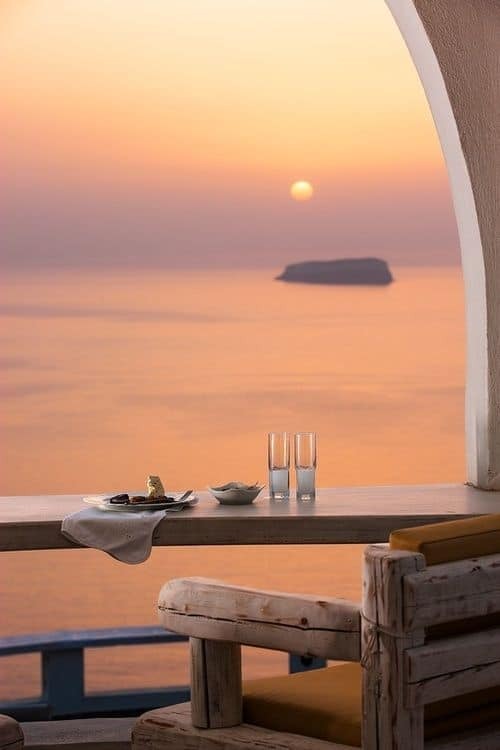 I will admit, it would be a lot more to fly to Greece and try these foods in person…..
Preheat oven to 350 degrees. 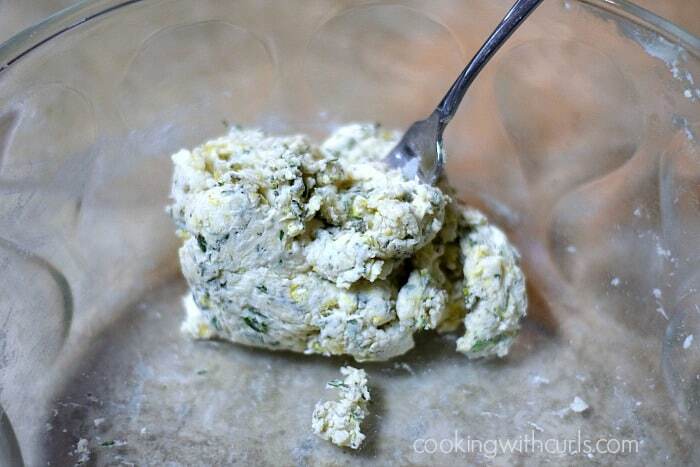 Combine the flour, 2 Tablespoons, of sesame seeds, lemon peel, thyme, salt and pepper together in a large bowl…..
Cut your butter up into small pieces….. I may have gone a bit extreme, but it worked. 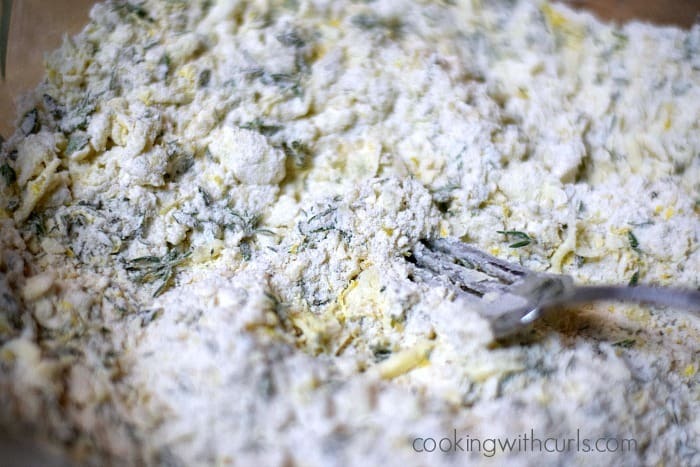 Use a large fork or pastry cutter to cut the butter into the flour mixture until it resembles fine breadcrumbs…..
Gradually stir in the cold water until it forms a a firm dough…..
Place dough on a well floured surface….. Roll out until it is very thin…”cracker” thin. Cut out circles with a 2 inch cutter….. Mine was slightly smaller than 2 inches, no need to be overly picky. 😉 Place crackers on a silpat or parchment lined baking sheet. 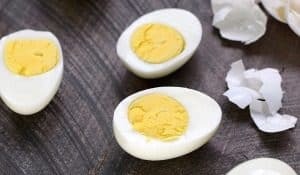 Brush the tops with egg white and sprinkle with remaining sesame seeds…..
Bake for 20 to 25 minutes until lightly browned…..
Place on a wire rack to cool, then store in an airtight container. 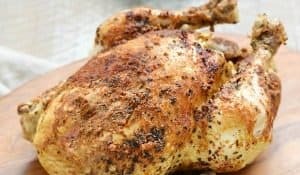 Serve with your favorite dip or along side your favorite soup. Just watch out, they are addictive! 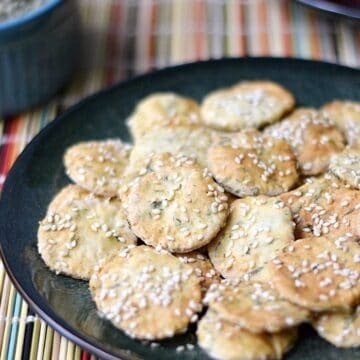 These Sesame Crackers are perfect to serve with dips and soups. 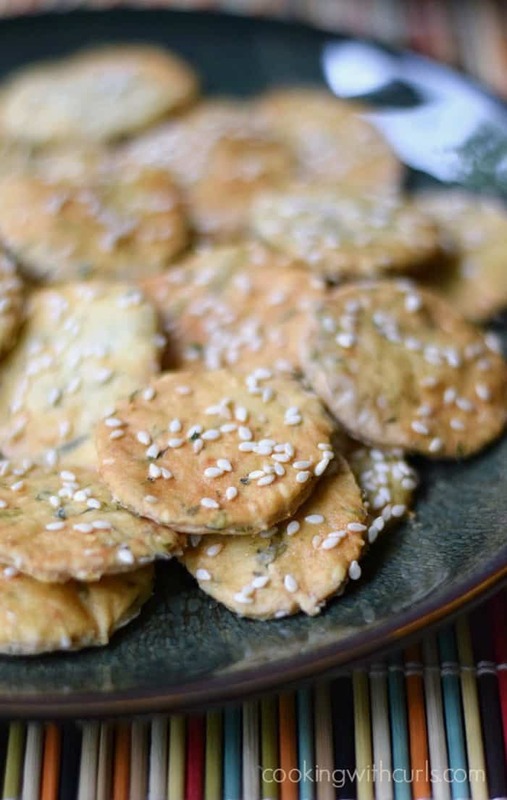 They are crispy, delicious and have thyme and lemon flavors hidden inside! 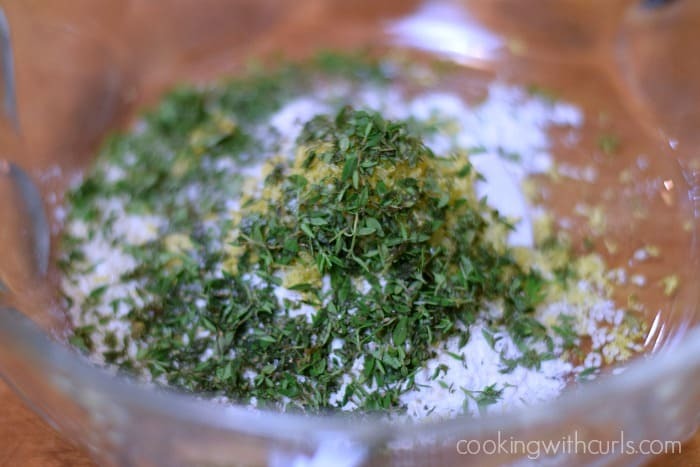 Place the flour, 2 Tablespoons sesame seeds, lemon peel, thyme, salt, and pepper in a large bowl. 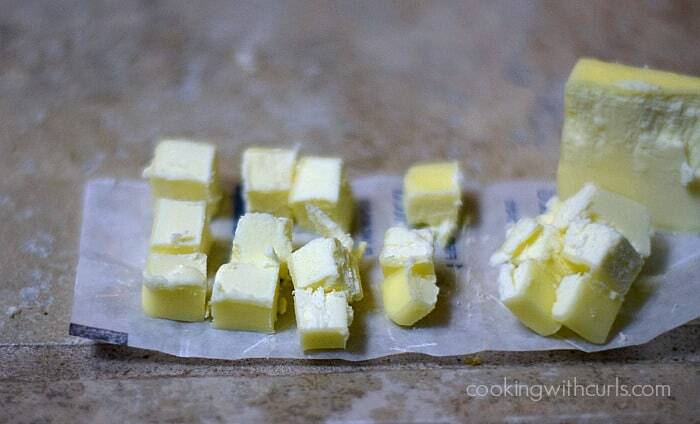 Add the butter pieces and cut into the dry ingredients until it resembles fine breadcrumbs. Gradually stir in the cold water until it forms a firm dough. 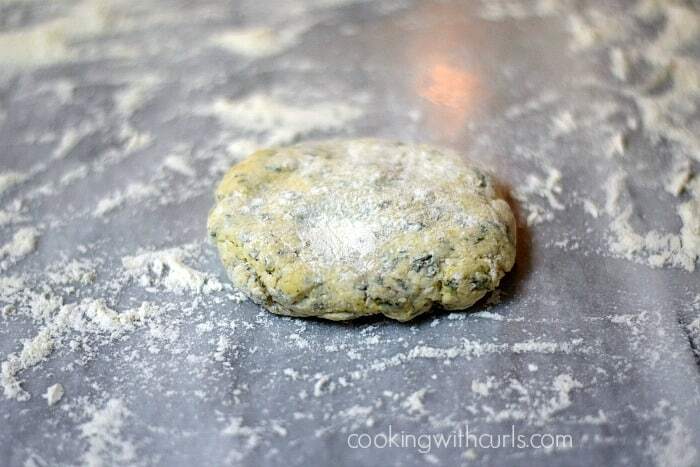 Place dough onto a floured surface, and roll out until very thin. Use a 2-inch round cutter to cut out crackers. 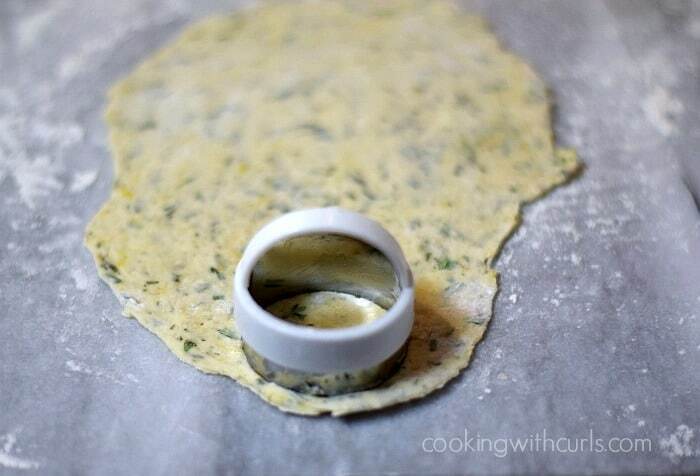 Place crackers on silpat/parchment lined baking sheets. 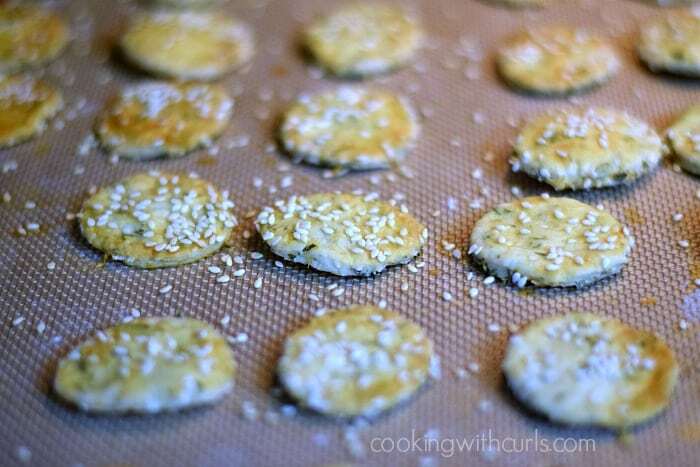 Brush the tops of crackers with egg white and sprinkle with remaining sesame seeds. Bake in a preheated 350 degree oven for 20 to 25 minutes, until lightly browned. Okay, Lisa. I have NEVER made crackers before — it actually never occurred to me that I could! 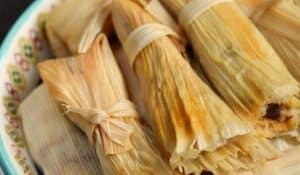 This is a great recipe to have on hand for those times when you pull out your crackers and they are all soggy from someone not having wrapped the bag up tightly:) And they have no preservatives, which most crackers do. I have never made crackers in my life – but these look delicious ! 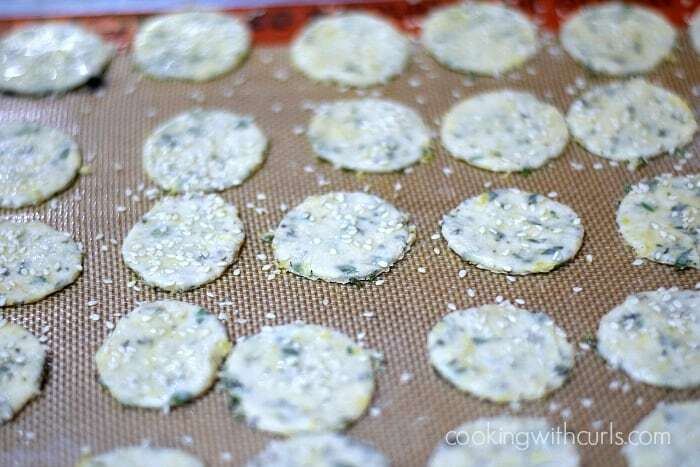 Ok, Hubs makes some sort of yummy Italian style crackers sometimes and when I tell you the he will FLIP OUT over this recipe I am not kidding. He LOVES sesame seeds and throws them on everything he can – especially a lot of his homemade bread. I am so making these for his birthday – I just know he will seriously love these. Pinned!! These sound delicious – and your photos are absolutely beautiful!